In 1-cup glass measuring cup, mix dressing and curry powder; let stand 5 to 10 minutes to blend flavors. Meanwhile, cook bacon as directed on package until crisp. Drain on paper towels; crumble. 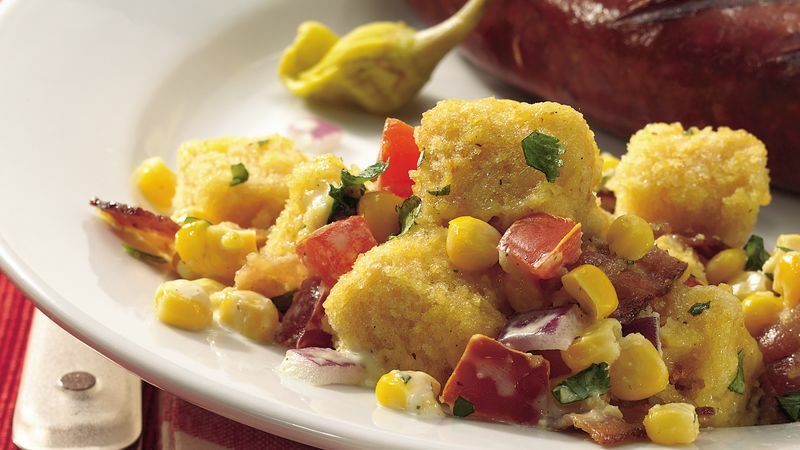 In large bowl, combine cornbread, tomato, onion, cilantro and corn. Add bacon and dressing mixture; toss gently to coat. Pick up cornbread at the grocery store, or bake two 6.5-ounce pouches of corn muffin mix.